Finance for 4.29% purchase financing for up to 96 months available to qualified customers on approved credit through Royal Bank ofCanada, Scotiabank and TD Auto Finance on select 2018 Dodge models. 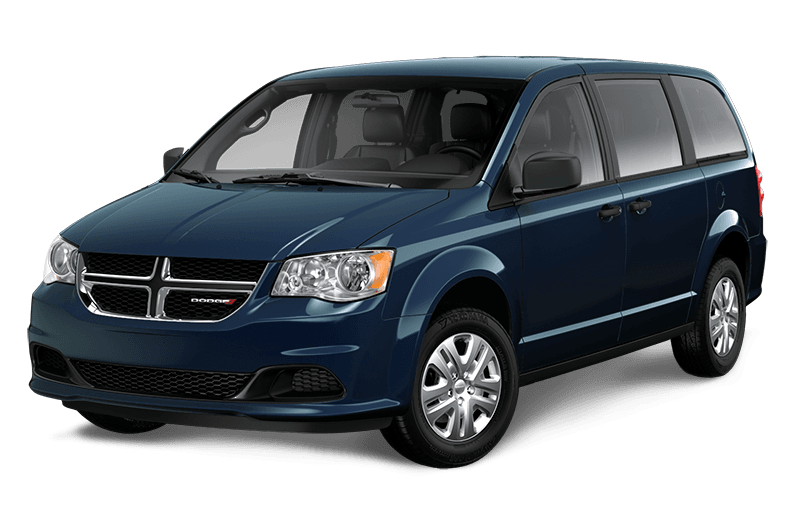 Example: 2019 Dodge Grand Caravan Canada Value Package with a Purchase Price of $25,995, with a $0 down payment, financed at 4.29% for 96 months equals 416 weekly payments of $73.93; cost of borrowing of $4,759.88 and a total obligation of $30,754.88. Finance for 4.29% purchase financing for up to 96 months available to qualified customers on approved credit through Royal Bank ofCanada, Scotiabank and TD Auto Finance on select 2018 Dodge models. 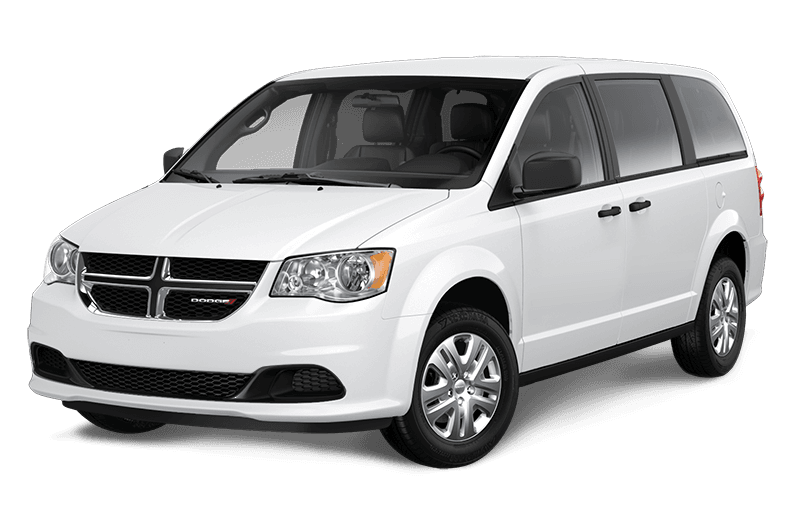 Example: 2019 Dodge Grand Caravan Canada Value Package with a Purchase Price of $25,499, with a $0 down payment, financed at 4.29% for 96 months equals 416 weekly payments of $72.52; cost of borrowing of $4,669.32 and a total obligation of $30,168.32. Purchase for Purchase Prices in Ontario, Alberta, Saskatchewan, Manitoba, and British Columbia include Consumer Cash Discounts and other incentives (where applicable), freight ($1,895 - $2,595), air conditioning charge, OMVIC/AMVIC fee and tire levy and exclude taxes, licence, insurance, any retailer administration fees and other retailer charges (if applicable) and other applicable fees and charges. Quebec Purchase Prices include Consumer Cash Discounts and other incentives (where applicable), freight ($1,895 - $2,595), and air conditioning charge, and exclude only licence, insurance, duties on new tires ($15) and applicable taxes, which will be required on purchase. In the rest of Canada, Purchase Prices include Consumer Cash Discounts and other incentives (where applicable) and exclude freight ($1,895 - $2,595), air conditioning charge, licence, insurance, any retailer administration fees and other retailer charges (if applicable) and other applicable fees and taxes. Retailers may sell for less. See participating retailers for complete details. Provincial electric vehicle incentive programs are administered independently by British Columbia, Ontario and Quebec. FCA Canada Inc. is not responsible for the administration of these incentive programs, which are subject to change or cancellation by the applicable province without notice. The incentive amounts referenced by FCA Canada are for informational purposes only and represent the maximum incentive amount provided by the applicable province on eligible vehicles. FCA Canada makes no representations about the actual amount of the incentive that a consumer may be eligible to receive and/or about a consumer’s/vehicle’s eligibility for an incentive program. Each province will determine: (i) the amount of the incentive applicable to each eligible model; and (ii) the terms and conditions, eligibility, application and other requirements applicable to the incentive program. In Ontario and Quebec, the incentive will be applied after taxes. In British Columbia, the incentive will be applied before taxes. Conditions apply. For more information about these incentive programs, please consult your provincial government or speak with your dealer. Purchase Prices in Ontario, Alberta, Saskatchewan, Manitoba, and British Columbia include Consumer Cash Discounts and other incentives (where applicable), freight ($1,795 - $2,595), air conditioning charge, OMVIC/AMVIC fee and tire levy and exclude taxes, licence, insurance, any retailer administration fees and other retailer charges (if applicable) and other applicable fees and charges. Quebec Purchase Prices include Consumer Cash Discounts and other incentives (where applicable), freight ($1,795 - $2,595), and air conditioning charge, and exclude only licence, insurance, duties on new tires ($15) and applicable taxes, which will be required on purchase. In the rest of Canada, Purchase Prices include Consumer Cash Discounts and other incentives (where applicable) and exclude freight ($1,795 - $2,595), air conditioning charge, licence, insurance, any retailer administration fees and other retailer charges (if applicable) and other applicable fees and taxes. Retailers may sell for less. See participating retailers for complete details. Based on WardsAuto Mid-size Sport Utility segmentation and combined horsepower and torque ratings. Excludes other vehicles designed and manufactured by FCA US LLC. Based on WardsAuto Middle Sport/Utility segmentation against competitor base model standard engines. Based on combined highway/city EnerGuide fuel consumption ratings. Government of Canada test methods used. Your actual fuel consumption will vary based on driving habits and other factors.12.7 L/100 km (22 mpg) city 9.6 L/100 km (29 mpg) highway on Durango base models equipped with the 3.6L Pentastar VVT V6 and 8-speed automatic. Dodge Durango - Based on WardsAuto Middle Sport/Utility segmentation. Fastest, quickest and most powerful claim based on Dodge Charger SRT® Hellcat model. Excludes non mass production vehicles. ¼ mile times based on NHRA certified testing. Based on WardsAuto Large/Regular Car segmentation and EnerGuide fuel consumption ratings. Government of Canada test methods used. Your actual fuel consumption will vary based on driving habits and other factors. 12.4 L/100 km (23 mpg) city and 7.8 L/100 km (36 mpg) highway on Dodge Charger RWD with 3.6L PentastarTM VVT V6 engine and 8-speed automatic transmission. Ask your retailer for EnerGuide information. Based on WardsAuto Large/Regular Car segmentation and EnerGuide fuel consumption ratings. Government of Canada test methods used. Your actual fuel consumption will vary based on driving habits and other factors. 12.8 L/100 km (22 mpg) city and 8.7 L/100 km (32 mpg) highway on Dodge Charger AWD with 3.6L PentastarTM VVT V6 engine and 8-speed automatic transmission. Ask your retailer for EnerGuide information. Integrated booster seats are only for children between 120 and 145 centimetres (47 and 57 inches) in height, weighing between 22 and 38 kilograms (48 and 85 pounds). Always fasten seat belts properly. Based on IHSMarkit Automotive Canadian New Vehicle Total Regiteststrations from CYE 2011 - 2015 and CYTD July 2016 for the FCA custom Large Pickup HD Segment which includes: RAM and Dodge 2500/3500 Series Pickup Trucks, Chevrolet and GMC 2500/3500 Series Pickup Trucks and Ford F250/F350 Pickup Trucks. Excludes non mass production vehicles and hybrids. NHRA certified 10.8 second ¼ mile time @ 202 km/h with street legal drag radial tires. NHRA certified 11.2 second ¼ mile time @ 201 km/h with production tires. Based on the latest available competitive information and WardsAuto Middle Specialty vehicle segmentation. Based on automotive awards for minivans 1984 through 2018. Based on WardsAuto Mid-size Sport Utility segmentation. Based on the latest available competitive information and WardsAuto Middle Cross Utility segmentation. Excludes other vehicles designed and manufactured by FCA US LLC. Based on availability of I-4 and V6 powertrains, front-wheel drive and all-wheel drive, 5 and 7 passenger seating, second-row removable in-floor storage bins and integrated child booster seats. Based on the latest available competitive information and WardsAuto Middle Cross Utility segmentation. Based on the latest available competitive information and WardsAuto Middle Cross Utility segmentation. Excludes other vehicles designed and manufactured by FCA US LLC. Based on WardsAuto Mid-size Sport Utility segmentation. When properly equipped. Excludes other vehicles designed and manufactured by FCA US LLC. Based on the latest available competitive information. Excludes non mass production vehicles and hybrids. NHRA certified 9.65 second ¼ mile time @225 km/h. Based on 1/4 mile time and towing capacity. Excludes low volume production vehicles. Based on 1/4 mile time and towing capacity. Based on HP and Torque. Excludes low volume production vehicles. When equipped with Remote Start. Based on EnerGuide highway fuel consumption ratings and fuel tank options. Government of Canada test methods used. Your actual fuel consumption will vary based on driving habits and other factors. Ask your dealer for the EnerGuide information. 9.2L / 100 km (31 mpg) highway and 12.7L /100 km (22 mpg) city on Dodge Journey 4x2 models equipped with the 2.4LDOHC 16V Dual VVT I-4 engine and 4-speed automatic transmission. Miles per gallon (MPG) ratings based on imperial gallon. Based on EnerGuide highway fuel consumption ratings and fuel tank options. Government of Canada test methods used. Your actual fuel consumption will vary based on driving habits and other factors. Ask your dealer for the EnerGuide information. 9.5L / 100 km (30 mpg) highway and 14.2L /100 km (20 mpg) city on Dodge Journey 4x2 models equipped with the 3.6L PentastarTM engine and 6-speed automatic transmission. Miles per gallon (MPG) ratings based on imperial gallon. Based on EnerGuide highway fuel consumption ratings and fuel tank options. Government of Canada test methods used. Your actual fuel consumption will vary based on driving habits and other factors. Ask your dealer for the EnerGuide information. 10L / 100 km (28 mpg) highway and 14.5L /100 km (19 mpg) city on Dodge Journey 4x4 models equipped with the 3.6L PentastarTM engine and 6-speed automatic transmission. Miles per gallon (MPG) ratings based on imperial gallon. Obey the rules of the road. Based on WardsAuto Large/Regular Car segmentation and EnerGuide fuel consumption ratings. Government of Canada test methods used. Your actual fuel consumption will vary based on driving habits and other factors. 12.4 L/100 km (23 mpg) city and 7.8 L/100 km (36 mpg) highway on Dodge Charger RWD with 3.6L Pentastar™ VVT V6 engine and 8-speed automatic transmission. 12.8 L/100 km (22 mpg) city and 8.7 L/100 km (32 mpg) highway on Dodge Charger AWD with 3.6L Pentastar VVT V6 engine and 8-speed automatic transmission. Ask your retailer for EnerGuide information. Based on current competitive information for 2017 Ford Interceptor Sedan. Professional driver on a closed course. Do not attempt. Based on Dodge Grand Caravan CVP average transaction price 2018 YTD compared to competitive models. A maximum of $12,750 in total discounts is available on select new 2019 Dodge Grand Caravan models (excluding CVP, SXT, Crew Plus and GT models) and consist of $10,750 in Consumer Cash (deducted before taxes) and $2,000 in Ultimate Family Bonus Cash (deducted after taxes). This offer cannot be combined with low rate financing. See your dealer for details. A maximum of $6,200 in total discounts is available on select new 2018 Dodge Journey models (excluding CVP and SE Plus models) and consist of $5,000 in Consumer Cash (deducted before taxes) and a No Charge Ultimate Family package worth $1,200 available on select SXT, Crossroad, and GT models. This offer cannot be combined with low rate financing. See your dealer for details.